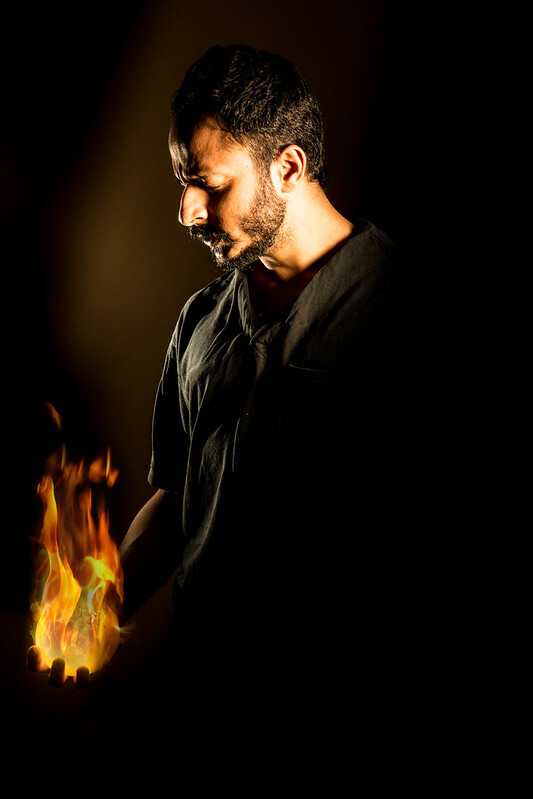 R Karthik Photography: The Flame Catcher. Superhero movies and posters can come from a lot of inspiration and it can be fun creating such posters. This was an attempt at one of those. One of the things I sometimes get to do is to hang out with other photographers and experiment with lights. The photograph below was made along with “Going banana photography” . Abhimanyu, became the model for the poster and Prashila was working behind the scenes with lights. After loads of experimenting, we came to this photo. The photo is a three light setup. There is a reflector bowl with a grid on it on camera left, this creates a controlled pool of light only to light up the shirt and part of the face. On camera right, there is a snoot with a grid on it to add a hint of light on the shoulder and light to the face from the other side. This helps in separating him from the background. There is a third light for the fire. To create the impact of the fire, there is a flash which has been gelled in yellow along with a flash diffuser, this creates the light effect that as if he is holding fire. If someone were to hold fire there would be some light spilling from the fire on the person. 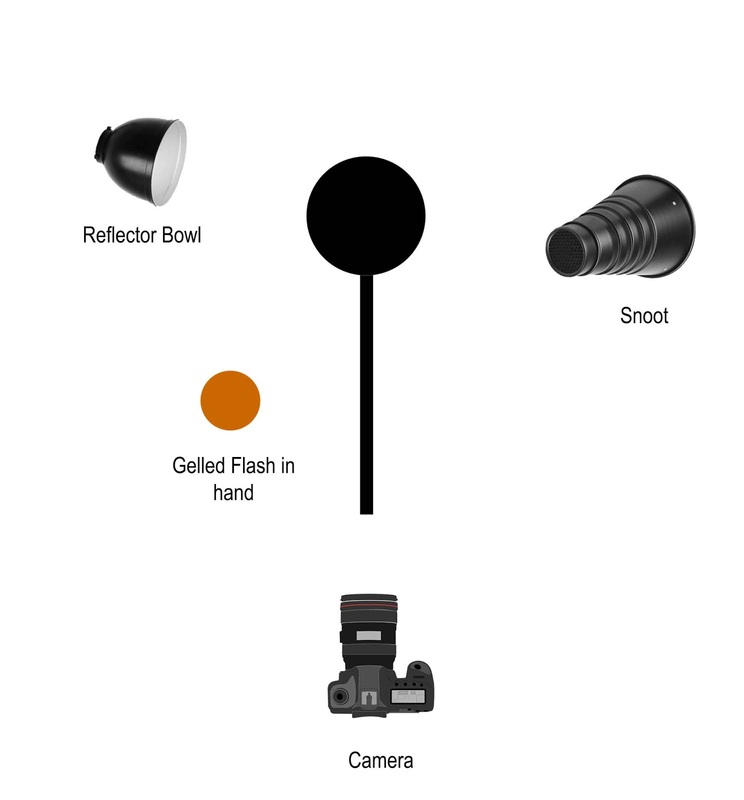 Here is the lighting setup. Once the photo was clicked, we took the image into Photoshop. Then, I added a few photos of fire on separate layers. The Photoshop layers with flames had lower opacity, about 25-30 % , to hide the flash held in hand. Thereafter , I merged all the layers together to make it looks like he is holding fire. This technique is called compositing when we stack photos one on top of another. You can read more about it on the following link. Until next time happy shooting.